Introducing the ORA OptiPlus system. The OptiPlus system is a revolutionary new option used during your cataract procedure to optimize your postoperative visual outcomes. OptiPlus provides an on-demand analysis of your eye, not possible with today’s conventional measurements and instruments. 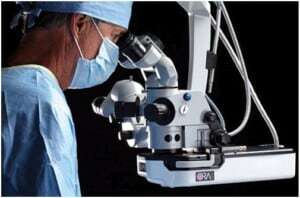 At any point in the cataract procedure, your surgeon can easily take a measurement, which is then analyzed and used to guide your surgeon’s decision-making to optimize the vision of your eye. OptiPlus works by directing a beam of low intensity laser light into the eye during the surgical procedure. The laser light reflects off the back of your eye, and sensors in the OptiPlus device analyze the reflected wave of light exiting your eye. 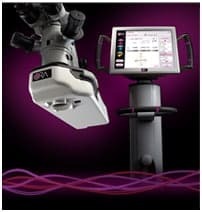 This real-time analysis measures all of the eye’s unique optical characteristics, and gives your surgeon an accurate measurement of your eye’s focusing capabilities. Prior to OptiPlus, surgeons have been unable to assess the quality of vision during the procedure, and would have to wait until weeks after the procedure to determine the accuracy of the results. There are many benefits to having OptiPlus added to your cataract procedure. OptiPlus allows your Austin LASIK doctor to assess the quality of your vision during your cataract procedure. OptiPlus will guide your surgeon and provide you with the opportunity for optimal outcomes. Whether you’ve had LASIK or have astigmatism or any other visual error, OptiPlus can help you potentially eliminate your need for eyeglasses after your cataract procedure. We use the OptiPlus system for most of our patients undergoing laser cataract surgery. We use the OptiPlus system on an elective basis for patients having basic cataract surgery. For more information please go to www.myalcon.com.